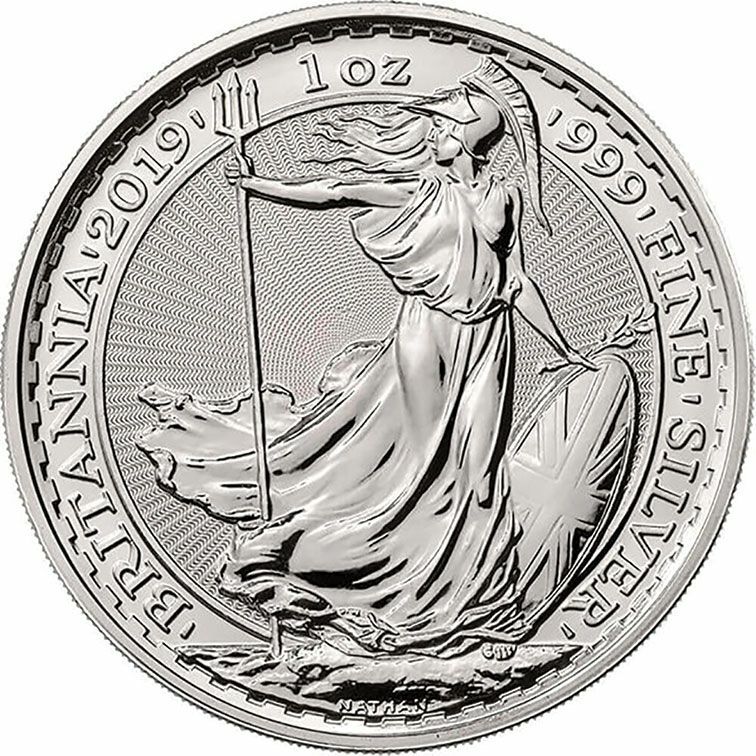 2019 Silver 1oz Britannia showing the traditional international recognise design on the reverse. You could say Britannia striding holding her trident and shield guarding the shoreline. The obverse features the new guilloche background and design with the 5th head of the Queen. Britannia's were first issued in 1987 in gold but it was not until 1997 when the first 1oz silver coin was issued. The year was produced to proof standard only and therefore very sort after in this condition with premiums being paid for the year. 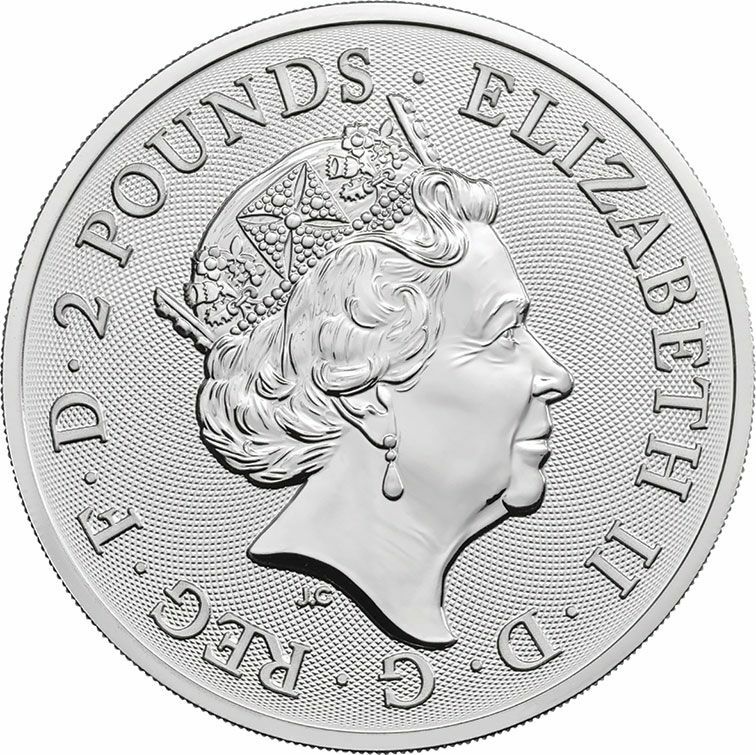 Each coin weighs one troy ounce of 0.999 pure silver and measures 38.61 mm in diameter.